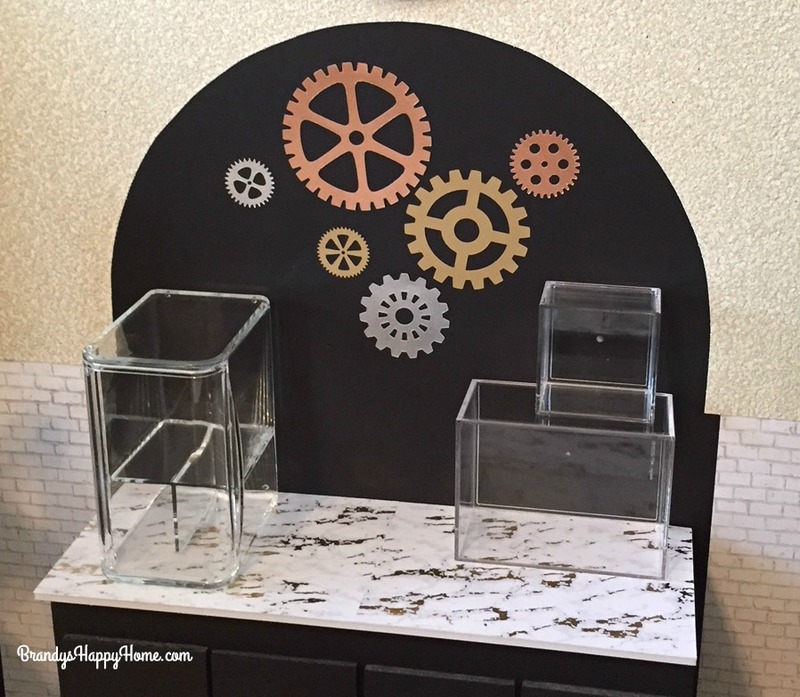 DIY Counters for the Toothsome Chocolate Emporium for Dolls! 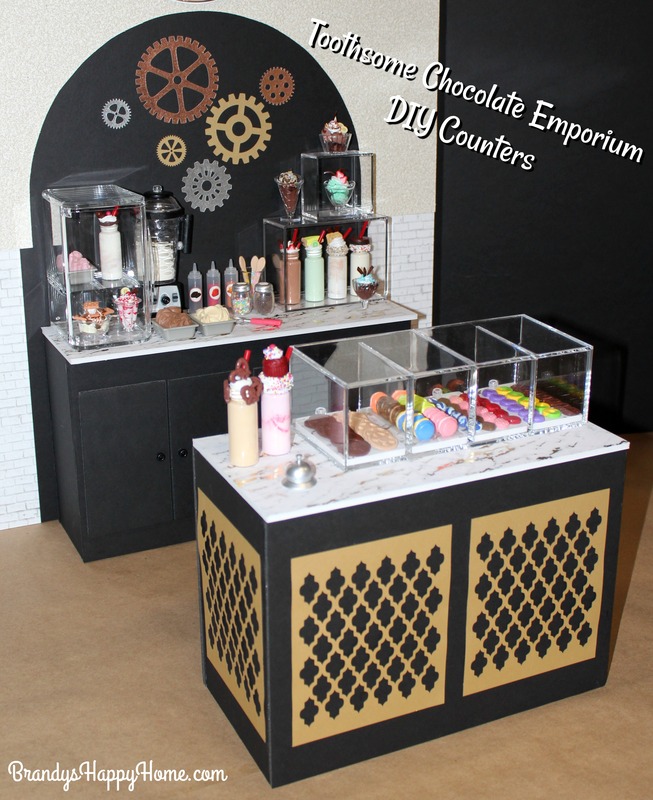 You are here: Home / Doll Room / DIY Counters for the Toothsome Chocolate Emporium for Dolls! 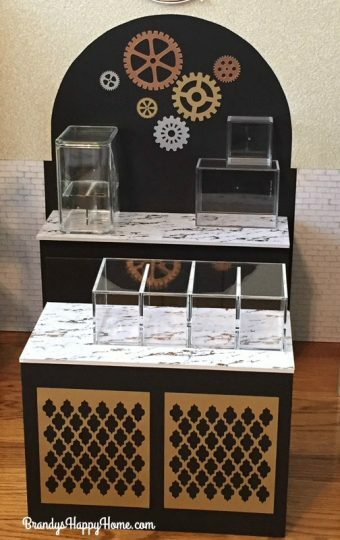 Now that the steampunk background for the American Girl doll sized Toothsome Chocolate Emporium was created in a previous post, it is time to show you how I created the counters. I wanted two counters in this scene, a prep counter for the back and a display counter for the front. 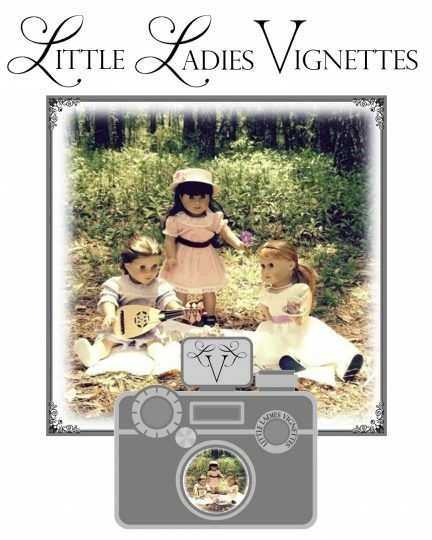 These doll sized counters were super easy to create by using foam board. 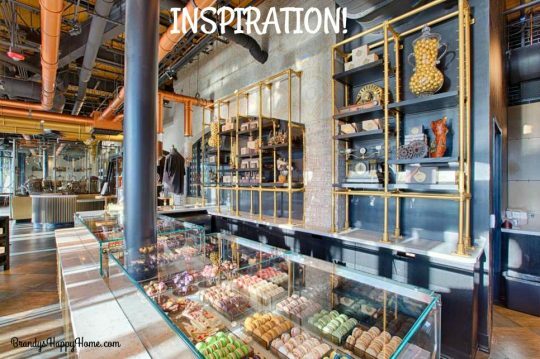 Below is an inspiration picture taken from the real Toothsome Chocolate Emporium, Universal Studios Orlando. You can see in the pic that there is a back and front counter. 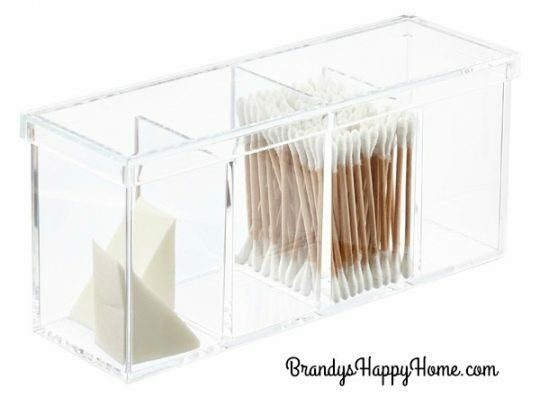 You can also see that the treats are enclosed in a glass casing and the countertops are marble. 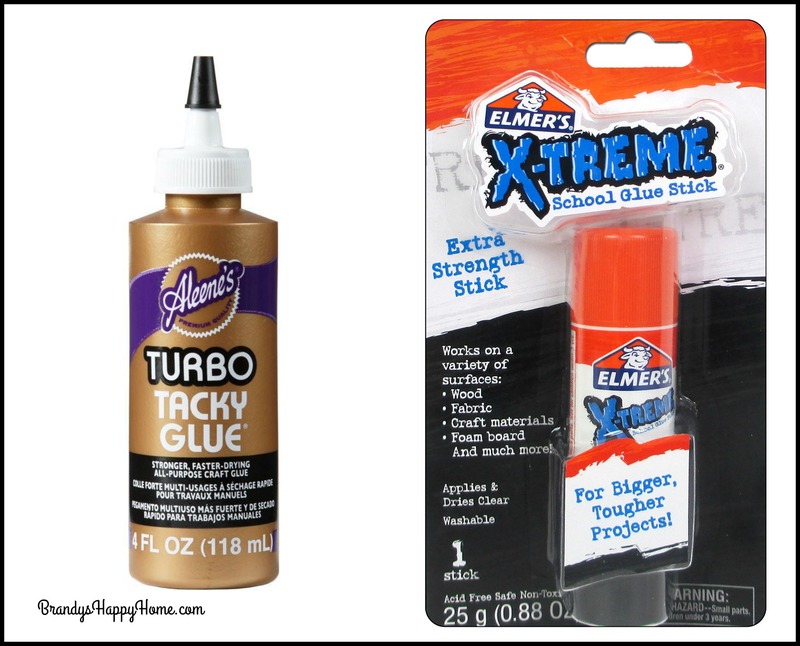 Glues used for the counters were Aleene’s Turbo Tacky Glue and Elmer’s Xtreme glue stick. This was my first time working with Aleene’s Turbo Tacky Glue with foam board. It worked like a charm. I usually use a hot glue gun, but with hot glue you must work super fast because it sets almost instantly. What I loved about the Turbo Tacky Glue was that it gave me time to get placement just where I wanted it, I held the position for a few seconds, and it held in place. This was way better than having hot glue everywhere and the foam board misaligned. The counters were made from 3/16 inch black and white foam board. I used my Foamwerks channel rail and straight cutter. You can use a yardstick and box cutter if you have a steady hand. All of these cuts are straight cuts. Glue side panels to back panel. Then glue front panel in place. Glue the countertop on top. Make sure back of countertop is flush with the back panel. There will be a large overhang of countertop on the front. This larger overhang is to accommodate for the faux doors. Glue on black pony beads for doorknobs. I found beautiful marbled looking cardstock paper at Michaels. This paper was cut to the size of the countertop and glued in place with a glue stick. 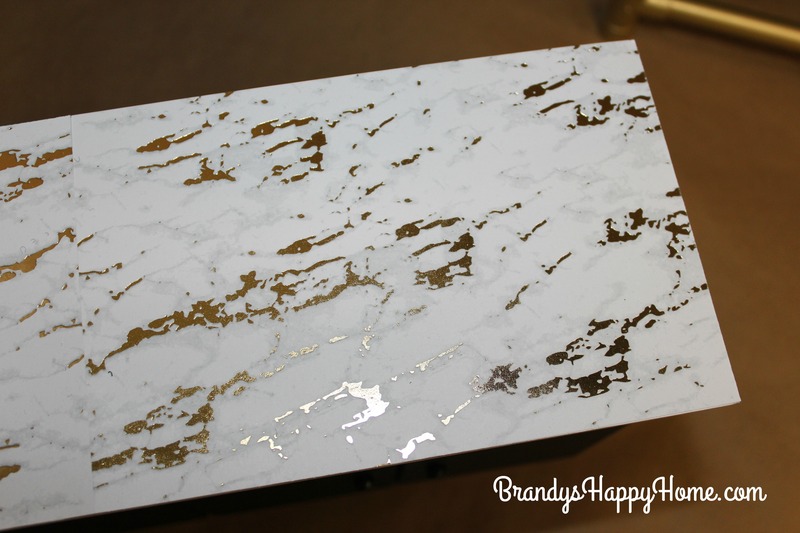 I LOVE the gold flecks in this paper, it adds a lot of charm to the scene! Glue side panels to back panel. Then glue front panel in place. Lastly, glue the countertop on top. 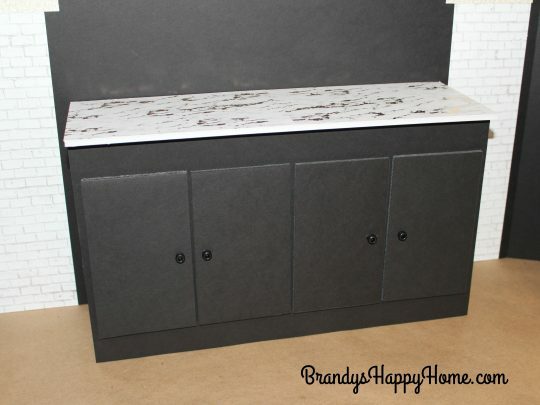 Make sure back of countertop is flush with the back panel. 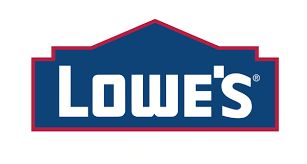 There will be a very slight overhang (lip) on the front of the counter. Glue marble cardstock in place. 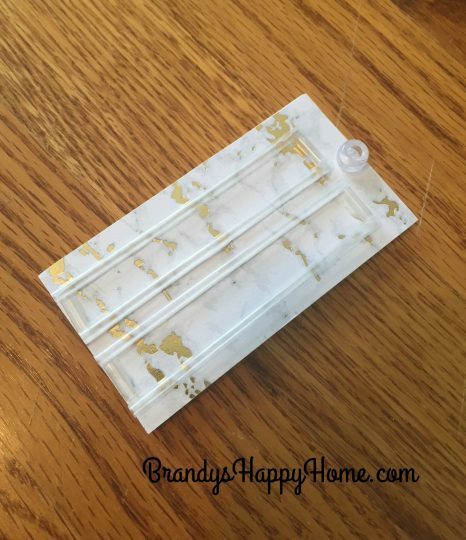 Glue gold grates in place…see below. 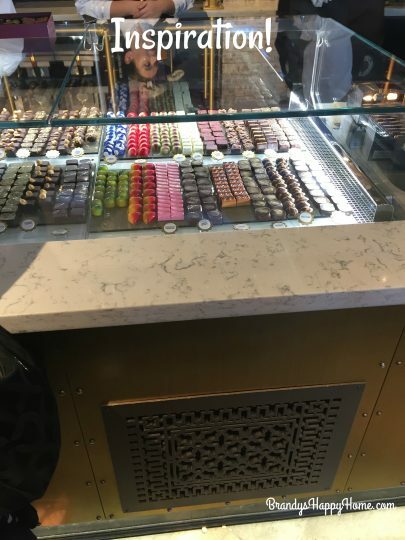 The bottom of the counters were left open since you wouldn’t be seeing them. 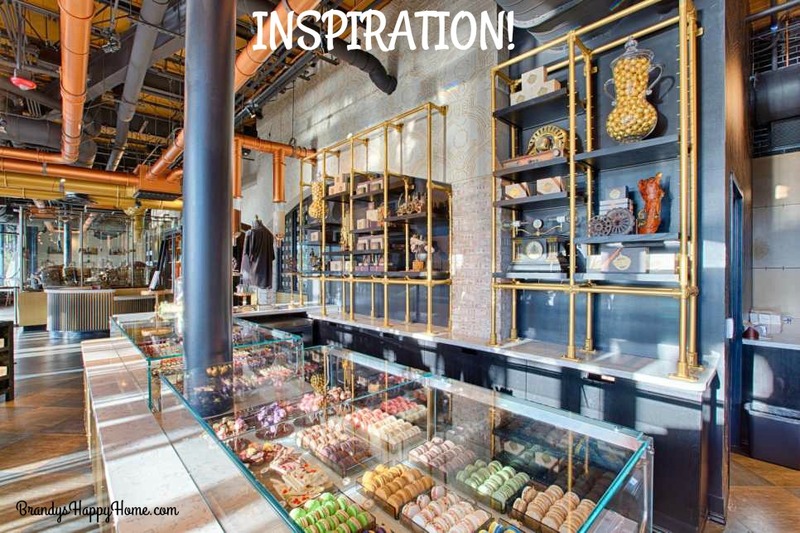 As you seen in the inspiration picture below, the counters were adorned with these beautiful grates. These grates gave the counters a very cool steampunk look. I recreated this look with clipart. 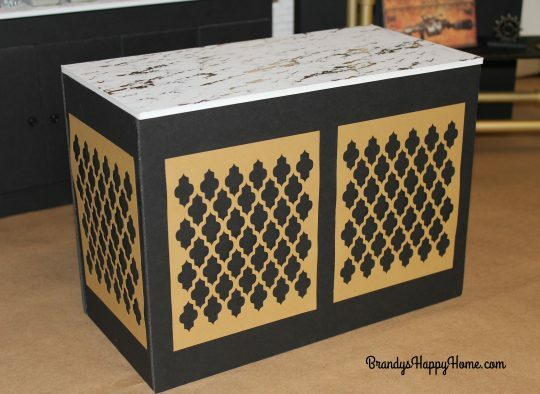 I found a beautiful cut file on Etsy from Hello Talii. 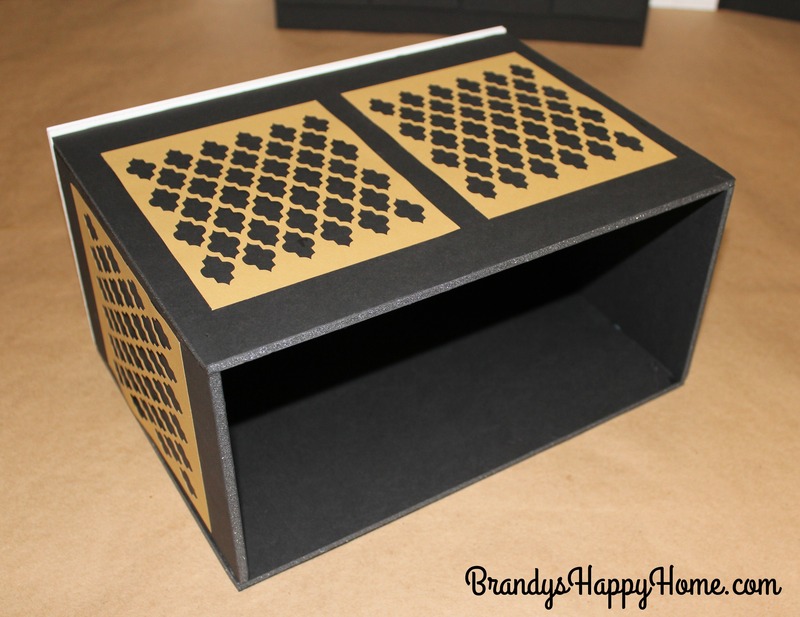 See here for this file: Steampunk Grate Cut File. I scaled this image to 5×6 inches and cut it with my Cricut out of gold metallic cardstock paper. 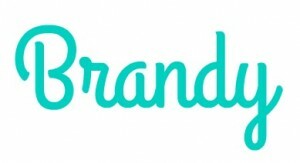 I you do not have a Cricut machine, you could also use this file in Word and print off to desired size and cut it out with an Xacto knife. 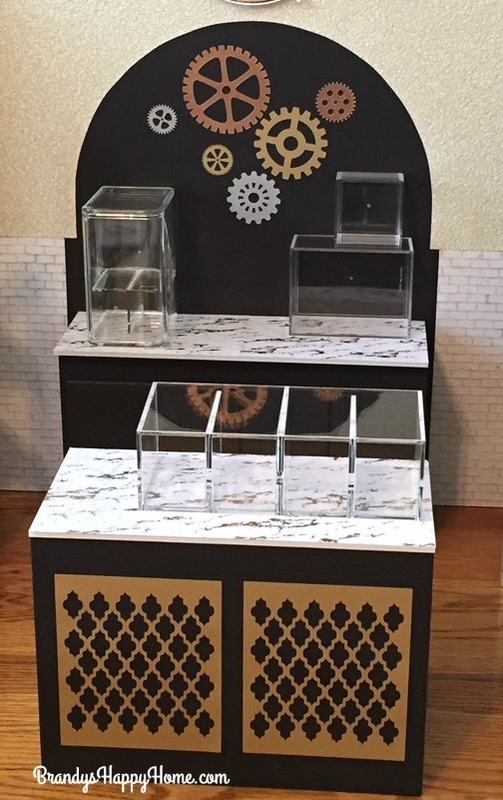 With the counters being finished, we can work on the Toothsome Chocolate Emporium display cases. 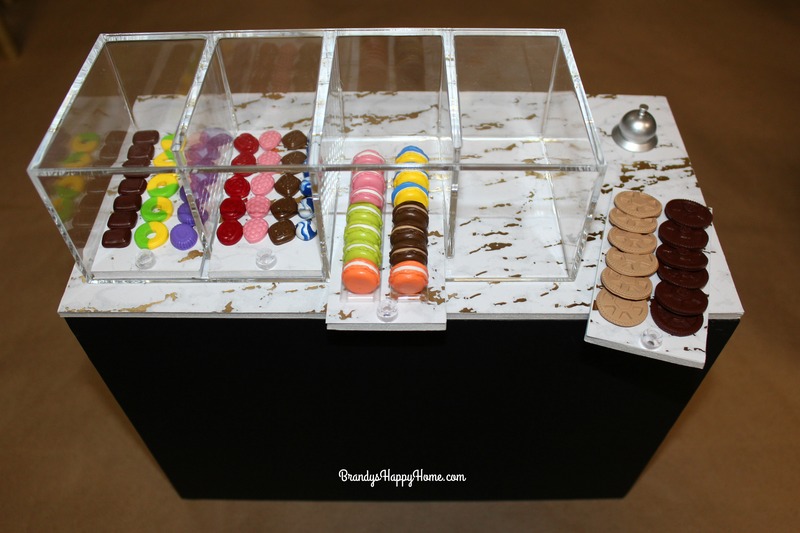 I loved how the sweet treats were displayed in glass in the inspiration photos. 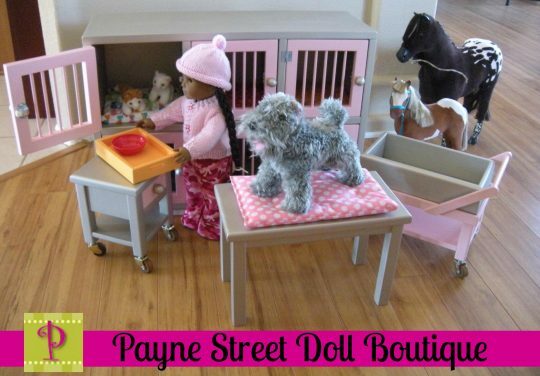 To recreate this look in a doll scale, I used acrylic containers found at the Container Store. The acrylic containers had a nice clean look to the display while providing depth and height to the scene. The container to the left was used as a fridge and the containers to the right were used as shelving. 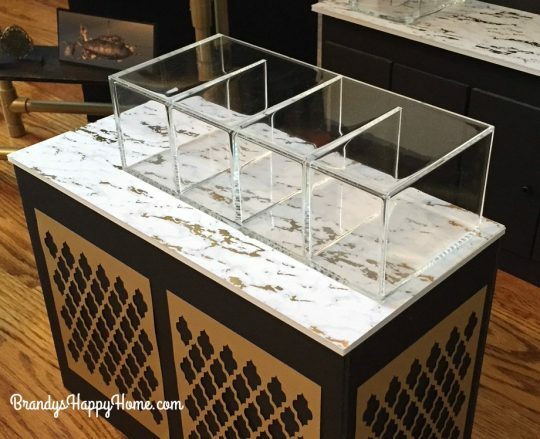 The display case used on the front counter is also an acrylic section box. The lid was not used. The case was displayed on its side. It measures 9x3x4 h. It really does look like the display case pictured in the inspiration photos! I cut small pieces of white foam board to fit as a sliding tray inside each compartment of the display case. Each tray was covered in the gold marble looking cardstock paper so it would blend well with the countertop. Now the treats are easily accessible. 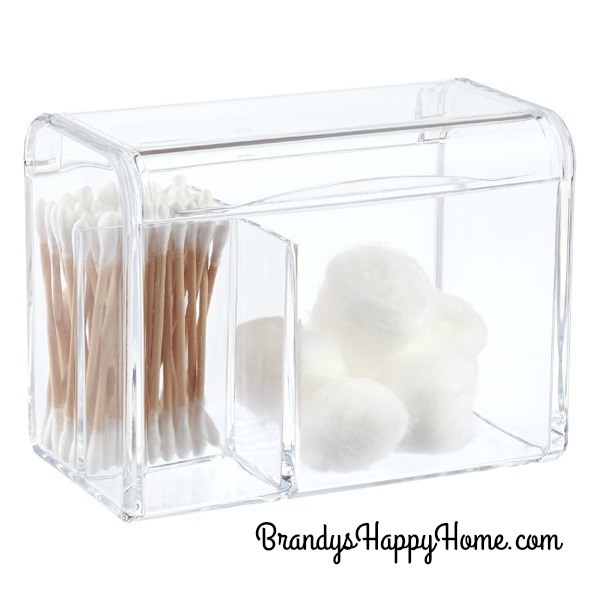 I clear pony bead is used as the tray’s knob. I glued clear cocktail straws down onto one of the trays to create channels for the macaroons to stand on. I can’t wait to see what you will create from inspiration in this Toothsome Chocolate Emporium series! 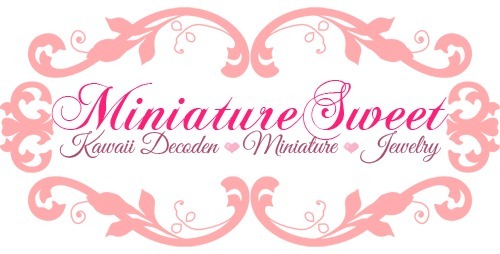 See here for more information on the other posts in this series: Toothsome Chocolate Emporium for Dolls! 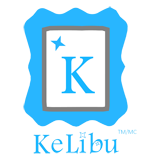 A huge thank you goes to KeLibu Designs and Miniature Sweet for sponsoring this series! Previous Post: « Steampunk Backdrop for the Toothsome Chocolate Emporium for Dolls! This is so cool!!! I need to go get some of the Turbo Tacky Glue, it sounds awesome. Great ideas Brandy!